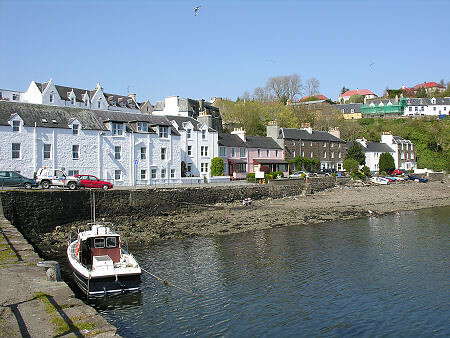 Portree is the island's capital and main settlement. It's an attractive little fishing port, built around a natural harbour, with a row of brightly painted houses along the shorefront and the rest of the town rising steeply up to the central Somerled Square. (Somerled was a famous and powerful Lord of the Isles). 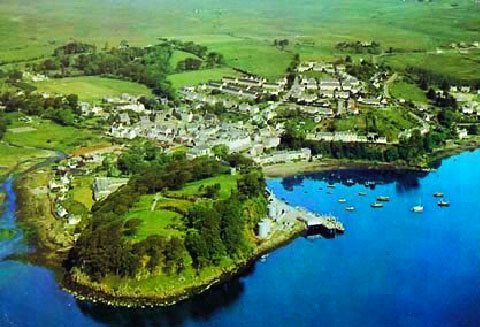 The town was so named (Port Righ means 'King's Harbour' in Gaelic) to commemorate a visit by King James V in 1540. He came with his fleet to quell a long-standing and bitter feud between the island's main clans, the Macleods and the MacDonalds. The town's other notable royal occasion, in 1746 - one of the most poignant moments in Scottish history - was when Prince Charlie bade farewell to Flora MacDonald in MacNab's hostelry, now the Royal Hotel. Almost a quarter of a century later the town was visited by Dr Johnson and Boswell, who dined in MacNab's, believing it to be 'the only inn on the island'. 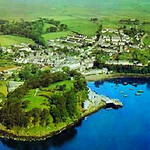 That may or may not have been the case in those days, but today Portree offers a wide range of places to eat, hotels, B&Bs, pubs, shops and banks to cater for the huge numbers of tourists that come here in the summer. The town's nightlife is mainly confined to eating and drinking. The bar of the Pier Hotel, Quay Street, Tel. +44 (0)1478 612094 by the harbour is a real fishermen's drinking den. Also popular is the Royal Hotel once MacNabs Hostelry, Bank Street, Tel. +44 (0)1478 612525. If you fancy a wild Friday night ceilidh, try the Portree Community Centre, Camanahd Square, Park Road, Tel. +44 (0)1478 613736. The Aros Experience (see 'Sights' above) has a theatre which shows drama, movies and live music. Call the box office for details of their monthly progr -amme; Tel. +44 (0)1478 613750. The swimming pool is at Camanahd Square, Tel. +44 (0)1478 612655. The island's annual Highland Games are a 1-day event held in Portree in early Aug.
Bank of Scotland and Clydesdale Bank, both on Somerled Sq. The Royal Bank of Scotland is on Bank St. All have ATMs. Internet: At the Portree Independent Hostel , at the post office and at Portree Backpacker's Hostel on Dunvegan Rd. Post office: At the top of Quay Brae. At the Portree Independent Hostel. 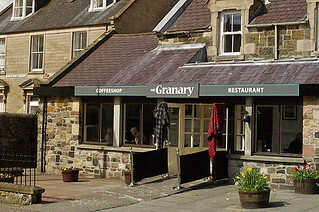 Chandlery Seafood Restaurant, next door to the Bosville Hotel . Superb French/Scottish cuisine using local produce. Lower Deck Seafood Restaurant, on the harbour front at the foot of Quay Brae, Tel. 613611. Freshest of seafood and a contender with the Chandlery for the best food in town. Open Apr-Oct daily 1100-2200. For a budget treat try the excellent fish and chips from their takeaway next door. 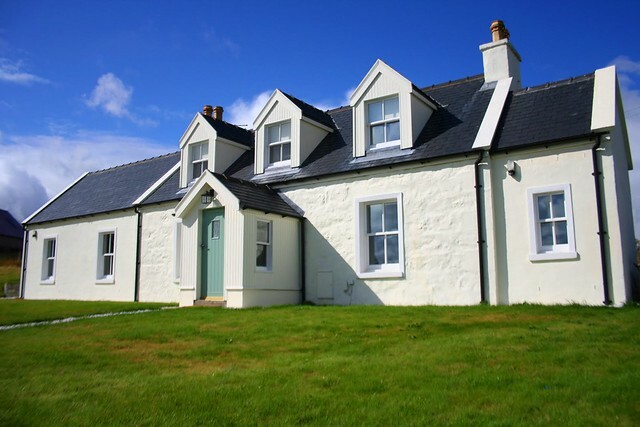 Ben Tianavaig, 5 Bosville Terr, Tel. 612 152. Excellent vegetarian bistro. Seating is limited so you'll need to book. Open lunchtimes at weekends, and Tue-Sun 1800-2130. Bosville Restaurant, in the Bosville Hotel . Also recommended. They offer a lunchtime special (soup, sandwich and coffee for £5) which is great value. Tuireann Café, part of the arts centre (see 'Sights' above). Natural whole-foods and organic produce, home-made bread, cakes and pastries. Excellent quality and value. Open Mar-Oct Mon-Sat 1000-1800, Nov-Feb Tue-Sat 1000-1630. Spicehut, Bayfield Rd, Tel. +44 (0)1478 612681. Indian restaurant and takeaway. Open daily 1200-1430 and 1700-2400. For cheap Chinese takeaway food, there's Steve's Kitchen Takeaway, on Bayfield Rd, opposite the library. 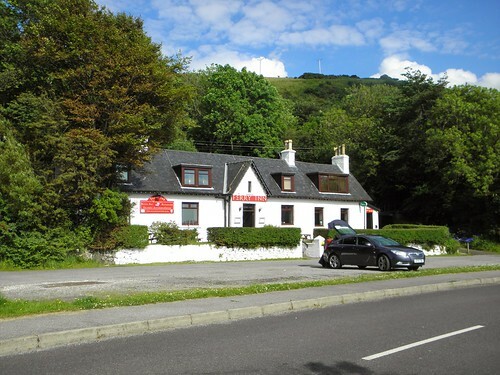 Portree House, Home Farm Rd (see above), serves good value food, 1200-1545, 1730-2000. There's a Safeway supermarket diagonally opposite the Bosville Hotel and a wholefood store, Jackson's Wholefoods, at Park Pl, opposite the council offices. Skye Batiks, The Green (near the tourist office), Tel. +44 (0)1478 613331. Sells handmade 'batiks' (colourful cotton fabrics), which are pricey but unique souvenirs of Skye. A good pottery is Carbostcraft Pottery, on Bayfield Rd, which sells a huge variety of designs (they also have a shop near the Talisker Distillery. A good place to buy woollens is Over the Rainbow, at the top of Quay Brae, Tel. +44 (0)1478 612555. Open 0900-2200 in the high season. Knitwear and tartan souvenirs can be found at the Skye Woollen Mill, Dunvegan Rd, Tel. +44 (0)1478 612889. 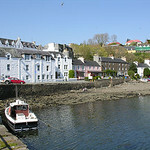 Portree is ideally placed for trips to all parts of the island. Buses leave from the bus station in Somerled Sq to Dunvegan, Uig, Broadford, Kyleakin, Armadale, the Talisker Distillery and Glenbrittle. There are also services to the mainland. The Calmac ferry office is on Park Rd, just off Somerled Sq, Tel. +44 (0)1478 612075, Fax. +44 (0)1478 613090. The town is compact enough to get around easily on foot, though there is a regular town bus service for those needing to get into the centre from the outskirts. The Tourist Information Centre is just off Bridge St, Tel. +44 (0)1478 612137. They have bus timetables and a good selection of books and maps. It's open Apr to mid-May Mon-Sat 0900-1730; mid-May to Jul Mon-Sat 0900-1800, Sun 1000-1600; mid-Jul to mid-Aug Mon-Sat 0900-2000, Sun 1000-1600; mid-Aug to Sep Mon-Sat 0900-1800; Oct-Mar Mon-Fri 0900-1700, Sat 1000-1600. There are 4 buses daily (Mar-Oct) Mon-Fri (2 on Sat) around the Trotternish Peninsula, in each direction, via Uig. There are daily buses (4 Mon-Sat, 3 on Sun) to Kyleakin, and 3 buses daily Mon-Sat to Armadale via Broadford. There are 2 daily buses to Carbost (for the Talisker Distillery) and Fiskavaig Mon-Fri (1 on Sat), and 2 daily buses to Glenbrittle (in the summer only). There are 3 buses daily Mon-Fri to Glendale via Dunvegan (1 on Sat), and 3 buses to Waternish via Dunvegan (Mon-Sat). There's a Scottish Citylink service from Inverness (3 Mon-Sat, 2 on Sun, 3 hrs) and also from Glasgow via Fort William to Kyleakin, Portree and Uig 3-4 times daily (3 hrs from Fort William to Portree). Winter services are severely limited with only a few buses in each direction each day. 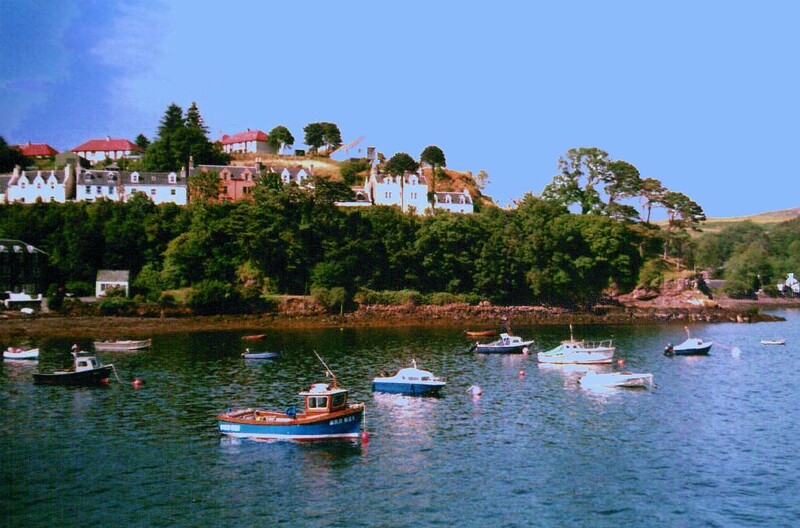 If the weather's good, Portree offers many opportunities for a wide variety of outdoor activities. Boat trips can be made to the island of Rona, north of Raasay, with the MV Brigadoon. Trips leave from the pier (April-September) and cost from £10 per person. 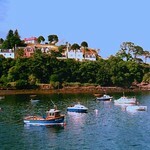 Full-day charters are also available for £75-200 (12 passengers). Tel. 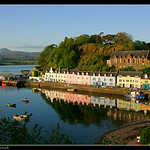 +44 (0)1478 613718, http://www.portree-boat-trips.co.uk/, or ask for Peter Urquhart at the pier. For horse riding, Portree Riding and Trekking Stables are a couple of miles from the town centre, Tel. +44 (0)1478 582419. Follow the Struan Road (B885) for two miles, then bear right at the fork towards Peiness. 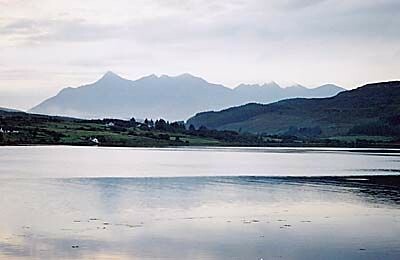 Four miles north of Portree, at Borve on the road to Uig, is the Skye Riding Centre, Tel. 01470-532439. Mountain bikes can be hired at Island Cycles, on The Green; Monday-Saturday 1000-1700, Tel. +44 (0)1478 613121. 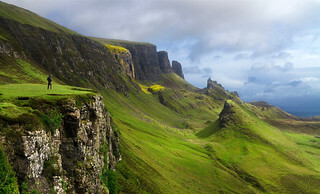 The visitor guide to Isle of Skye Walks in Scotland's Inner Hebrides. 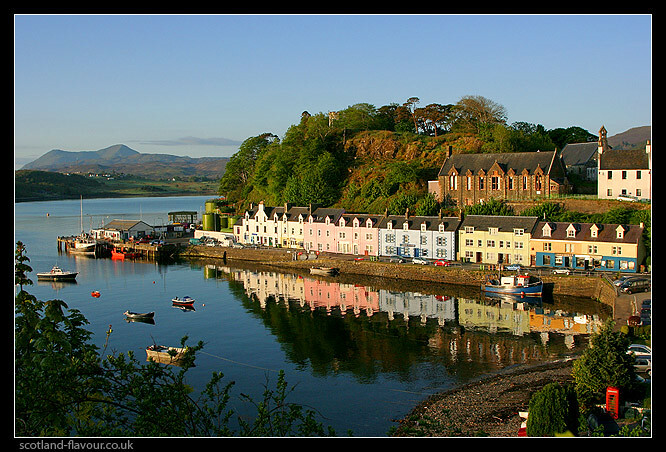 The guide includes details and information on Portree, and other sightseeing attractions of the area like The Old Man of Storr, The Quirang, Elgol to Camasunary Bay etc. Restaurant and coffee shop in Somerled Square in centre of Town. Much spruced up since last visit! 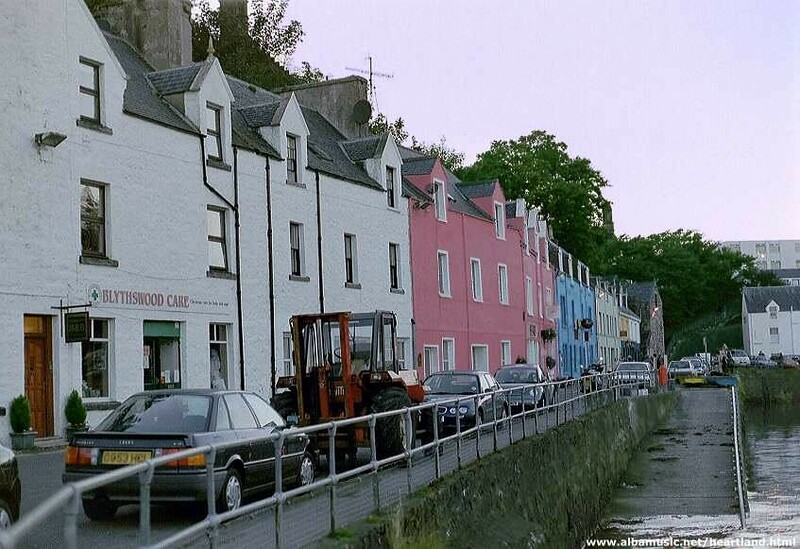 There are numerous hotels, guesthouses and B&Bs in Portree, but accommodation can be hard to find in the busy summer season. 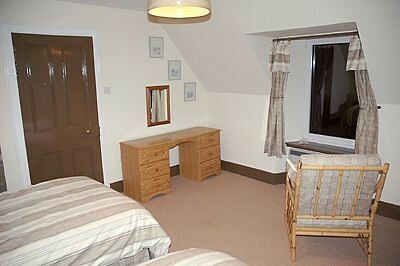 For a small fee the tourist office will book accommodation for you. Prices tend to be slightly higher in Portree than the rest of the island, though B&Bs on the outskirts of town are usually cheaper. Rosedale Hotel, Beaumont Cres, Tel. +44 (0)1478 613131. 23 rooms. Open May-Sep. Cosy little hotel by the harbour, converted from fishermen's houses. Bosville Hotel, Bosville Terr, Tel. +44 (0)1478 612846, Fax. 613434, Bosville Hotel 18 rooms. Comfortable and stylish accommodation with friendly service. Boasts 2 award-winning restaurants.. There are also several guesthouses on Bosville Terr and many B&Bs on Stormyhill Rd and the streets running off it. Viewfield House Hotel, on the road into Portree from the south, Tel. +44 (0)1478 612217, Fax. 613517, Viewfield House Hotel 9 rooms. 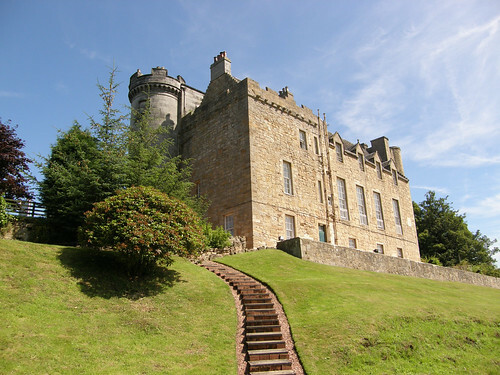 Open mid-Apr to mid-Oct. Grand old country house full of antiques, set in 20 acres of woodland garden. Log fire adds to the welcoming atmosphere; great value. Mr & Mrs Mathieson, Grenitote, 9 Martin Cres, Tel. +44 (0)1478 612808, on Viewfield Rd heading south out of town. Good value. There are a couple of options for budget travellers. 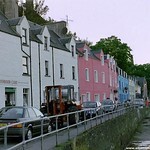 Portree Independent Hostel, Old Post Office, The Green, Tel. 613737. 60 beds. 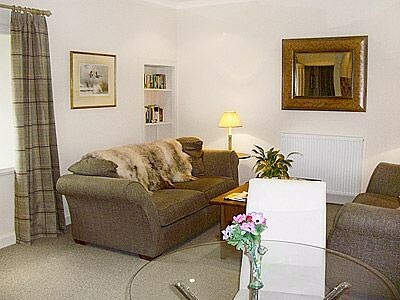 Right in the centre of town, with laundrette and email facilities. 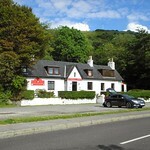 Portree Backpackers Hostel, 6 Woodpark, Dunvegan Rd, Tel. +44 (0)1478 613641, Fax. 613643. 26 beds. There's a campsite at Torvaig, just outside the town, Tel. +44 (0)1478 612209, open Apr-Oct.